For the past year I've been involved with this cute story for a girl with leukemia. The author called the illustration department and my advisor gave me her information. I was drawn to the story but was super busy in my senior year at college. I am almost done with the illustrations, afterward we will self publish and see how it goes. Hi Cali! I love the Illustration! Let me know when you get the book done. I would love to see it! 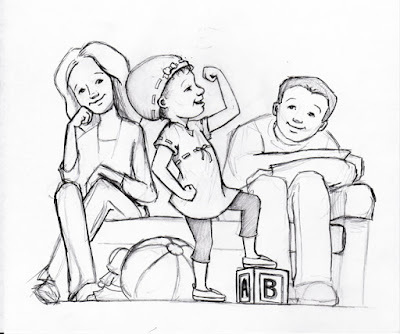 I am working on a childrens book too! It is so much fun!